Well, whadda know? We live in the most dangerous part of the country in terms of potential natural disasters. So sayeth no less a source than the New York Times. 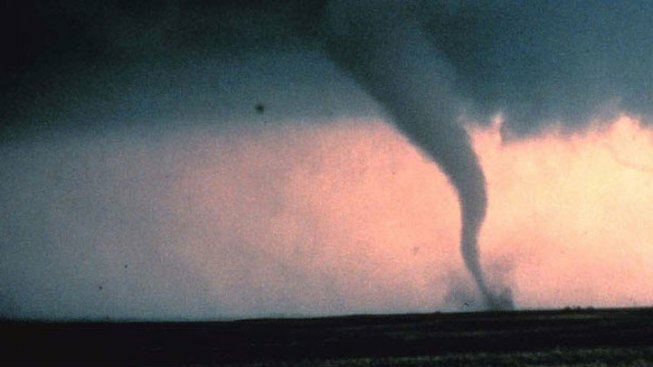 The paper recently ranked the eight U.S. areas most prone to earthquakes, hurricanes, tornados, floods, droughts, hail, wind, locusts and all manner of earth borne plagues and pestilence, and Dallas-Plano-Irving topped the list. Don’t get too comfortable, there Fort Worth, Arlington, and other Dallas suburbs — oh, and did he just call Fort Worth a suburb of Dallas? — because y’all aren’t exactly out of the danger zone given proximity. NYT cited our potential for “twisters, hurricane remnants, hail, wind, drought, and floods, “everything but quakes” as deserving of the distinction. Hey, New Yorkers, we all but straddle a fault line. Just saying. But seriously, hurricane remnants? Uh, the coast is more than 300 miles that way. Any hurricane remnants we get are little more than a drizzle. By the time it arrives, it’s a Category Six-Pack. Texas, according to the study, is pretty much hosed in terms of natural disasters. The top eight list also includes Corpus Christi, Houston, Beaumont-Port Arthur — where’s Orange? — and Austin. Hey, wait a minute. California is nothing but varying shades of green areas on the map, indicating its relative safety. They practically invented earthquakes, mudslides, the cult of celebrity. Bruce Felps owns and operatesEast Dallas Times, an online community news outlet serving the White Rock Lake area. He doesn’t worry about stuff he can’t control. He doesn’t much worry about stuff he can control, either.